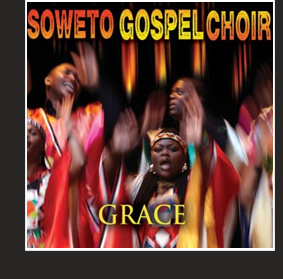 South Africa’s Soweto Gospel Choir went through some difficult times in 2009. Guitarist Joshua Mcineka, to whom the album is dedicated, passed away before these recording sessions were to begin; and just before Christmas, a month before the album’s release, its co-founder and musical director David Mulovhedzi succumbed to cancer. On this 19-track collection, the group sticks close to its traditions on most songs, writing and performing original ones, as well as interpreting many traditional ones in their unique way in six of South Africa’s official languages. As is their wont, different soloists are featured on each tune, with musical accompaniment backing them for about half the album, while the other half is devoted to songs performed a cappella with drums. Standouts include the glorious readings of the traditional “‘O’Nkosi Yam,'” and “‘Ngahlulele. '” The Roman Catholic and American gospel traditions are represented by “‘Ave Maria,'” and “‘Oh! It Is Jesus,'” respectively. The choir also takes on an old Ocean song “‘Put Your Hand in the Hand'” and places it in a medley with “‘Joy, Peace and Happiness'” and “‘What a Mighty God,'” and manages to transform the entire mess into a gorgeous new entity with their soul-drenched harmonies and a single hand drum. For those who might be put off by the familiar tunes and are cynical enough to think this a gimmick, there is no need to worry: each standard has been transformed by the elegance and innovative spirit of the mighty Choir; they have in turn imbued each of these songs with a grace that is at once both human and seemingly divine.